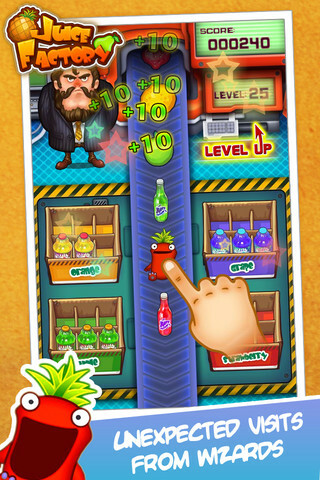 Juice Factory – The Original: Game Review For iPhone & iPad! When it comes to gaming, Apples iOS devices are most preferred handheld devices considering their intensive graphics delivering hardware and powerful SDK provided for developers. I am going to review one such really amazing sorting game that not just deliver outstanding graphics but amazing gameplay as well. 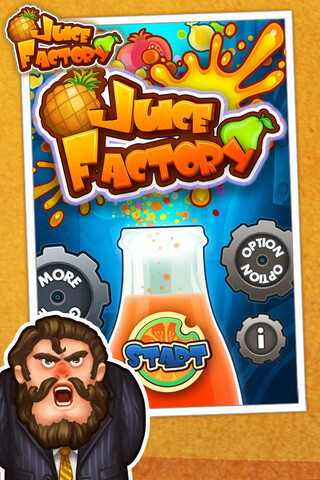 Name is – Juice Factory – The Original. The game is recently released in Apple app store and is already on other smartphone OS marketplaces such as Google Play & Windows Marketplace for WP7 Devices as a paid game. But good news is, the developer has kept this game free for limited time, so you better grab the game already even before you finish this review. 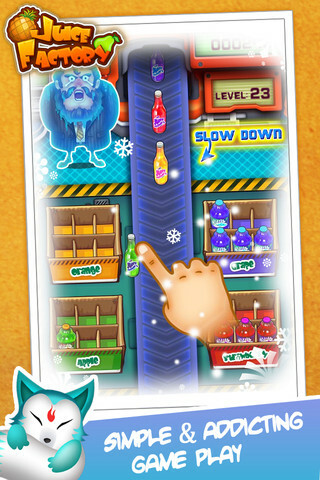 As I mentioned previously, Juice Factory is basically a sorting game, where user have to keep his eyes and mind open to react quickly and sort the juice bottles in respective carts quickly. You are not allowed to miss the bottles much and a big grumpy boss is always keeping eye on you and shouting sometime if you do not perform well. The very eye candy feature of this game is little toys or ‘effects avatar’ that come in-between, like one cartoon gives you snow and freezes all the interface along-with your boss, which is pretty cool! Also, there is a pretty girls magazine which if you pick up, your boss get busy for some time and you can find some relief from work. Also there are few pitfall cartoon figures, which you are not supposed to pick or else you lose. The is developed such that you get training along the gameplay, which is really simple to understand and creates no confusion at all. There are several modes of expertise you can play upon and Arcade option adds even more fun to all the task you do at Juice Factory. The game is very promising and gets you addicted really fast thanks to its compelling music, amazing interface design and very entertaining gameplay overall. I had already played this game on my Windows Phone 7 Device and it worked even better on my iPod Touch & iPhone. I would recommend this app to every iOS user of all age groups, and you better hurry as the game is currently available for free! Evernote For Android Tablets Gets A Classy Redesign! Voice Answer App Review: Advanced Siri Alternative For All iOS Devices!